Athens has it all! It’s the most international city in Greece with a large expat community, offering a wide range of activities to suit anyone’s tastes. Along with it’s great weather and low cost of living, relocation to this country can also offer you the opportunity you’ve been waiting for to develop your career! Our client, whose head office is based in Athens, is currently hiring a Norwegian , Swedish or Danish speaking Customer Service Agent. Speak to customers via phone, email and live chat; answering questions and generally helping them out. Keep accurate records of the customers account and escalate issues internally as and when needed. On occasion your language skills might be utilised for translations as well! The ability to speak and write Norwegian , Swedish or Danish at a native level, along with a fluent level of English. A positive can do attitude and strong communication skills. Prior experience in a similar role would be a benefit, but the willingness to learn is a pre-requisite. As an industry standard you can typically expect full relocation support, competitive salary packages and a fantastic working environment. To hear more about this great opportunity, get in touch with the Betting Connections Team by hitting the ‘Apply’ button and sending us your CV. One of our team will contact you for a chat soon! If this job is not right for you, but you know of someone whom it would be perfect for, we offer a 250 euro ‘refer a friend’ bonus! So send us your friend recommendations today, or maybe even relocate together!!! 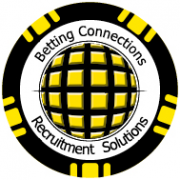 Betting Connections has multilingual vacancies across Europe in locations such as Greece, Malta, Ireland, Portugal, UK and many more!